Membrane To A Cell - USA Patriotism! Marines with 3rd Battalion, 4th Marines attached to Special Purpose Marine Air-Ground Task Force Crisis Response – Central Command form one of these security force elements. SPMAGTF-CR-CC is a forward deployed unit in the Central Command area of responsibility, serving as a multiple force provider, and becoming an integral part of Combined Joint Task Force - Operation Inherent Resolve. 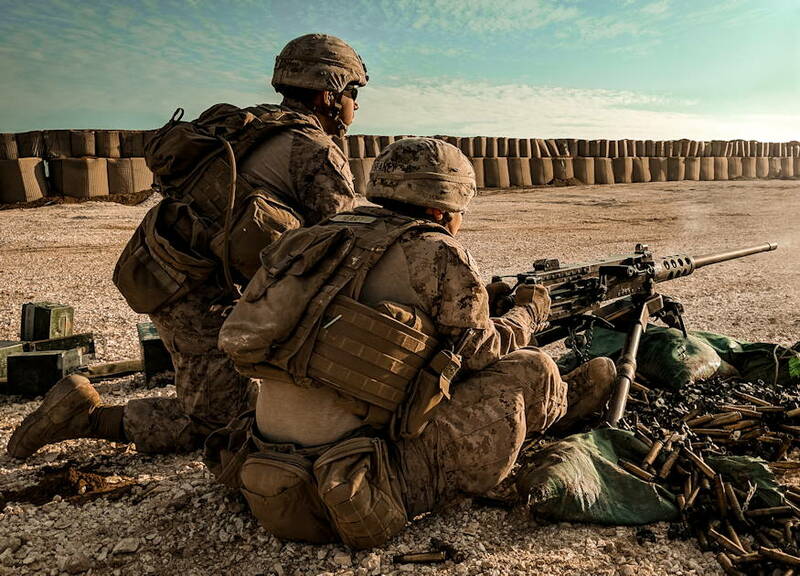 These Marines live and operate on a repetitive schedule. They man a post, and like an old friend, these Marines have become familiar with their posts. Learning the ebb and flow of life in the landscape below, taking notice of every quirk and oddity. When the Marines observe something out of the ordinary, they report it to their watch chief, Sgt. Oliver Waterfield, who is responsible for informing leadership and providing guidance for any follow-on actions. “We provide the base security to allow U.S. and Collation forces to support the fight against ISIS,” explains Waterfield, who has traveled to nearly every U.S. outpost in the region, improving defensive capabilities at each. The hours are long and the training even longer, but according to these Marines, the experience is rewarding. “We’ve trained for so long, and we actually get to come here and do the real thing against a real threat as one of the most engaged battalions in the Marine Corps,” says Cpl. Zachary Vincent, sergeant of the guard for the security forces. The time spent manning their post is followed by even more hours serving as a quick reaction force. QRFs are designed to respond to a variety of contingencies in the event of a crisis. During this time, the Marines can never be more than a quick call away and generally spend time improving posts, cleaning weapons, or conducting training. After a long day, the Marines finally get some long awaited and much deserved duty-free rest.